Wednesday was a wild day around the NFL, a day when that widely used cliché “better late than never” took on a whole new meaning. Players who received the franchise tag and their respective teams had until 4:00 p.m. EST to negotiate and sign long-term contract extensions. And just when it was starting to look like nothing was going to happen before the deadline, the Kansas City Chiefs and outside linebacker Justin Houston announced that the two sides had finally come to terms on a record-breaking contract extension that will keep the three-time Pro Bowler in a Chiefs uniform through the 2020 season. Houston’s deal came with only a few hours to spare, and the details of the contract are stunning. 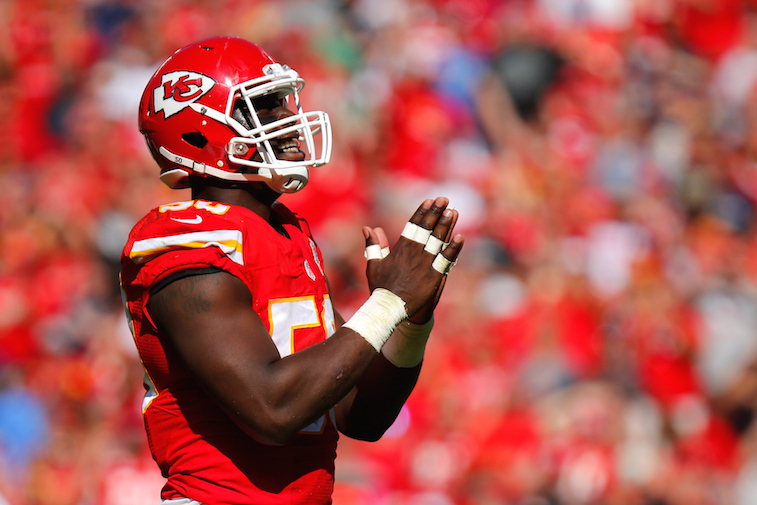 The six-year, $101 million deal that includes $52.5 million in guaranteed money is the richest deal in Chiefs franchise history, and the richest deal for a linebacker in NFL history. The contract also makes Houston the second-highest paid defense player in the league behind Miami Dolphins defensive tackle Ndamukong Suh, who just signed a six-year, $114 million contract that includes $59.95 million in guaranteed money earlier this offseason. Houston is now the third defensive player to join the exclusive $100 million contract club, joining Suh and Houston Texans defensive end J.J. Watt. When looking at the details of Houston’s new megadeal, it becomes painfully clear that Houston had his sights set on landing a contract that was bigger than the extension Watt signed with the Texans last offseason. Watt’s deal was for $100 million over six years with $51.876 million in guaranteed money. In case you didn’t notice the correlation, the Chiefs gave Houston just enough money in his deal to eclipse the financials in Watt’s deal. What’s more important in this situation, however, is the fact that the Chiefs have now locked up one of the best edge-rushers in the league, who is just now entering his prime, for the next six seasons. 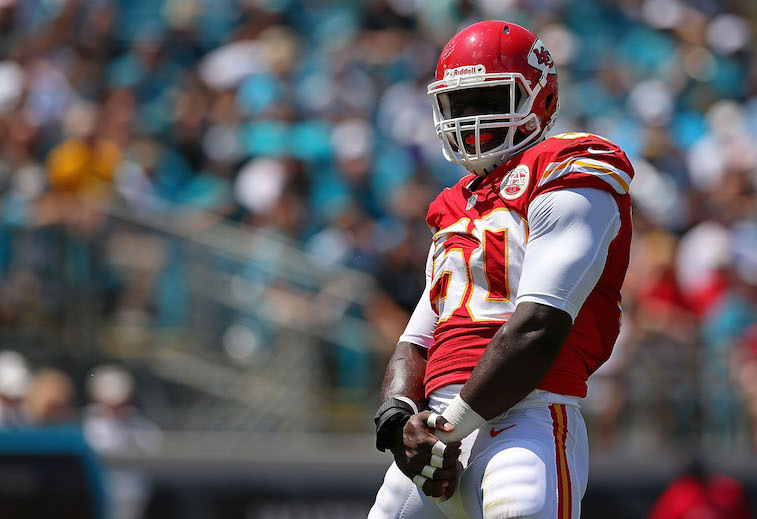 They will likely be facing salary cap issues for the next couple of years, and will have to either get creative or make some tough decisions when it comes time to negotiate extensions for defensive tackle Dontari Poe and cornerback Sean Smith. That said, having Houston secured for the long-term means that the Chiefs have a bona fide star to build their defense around for the foreseeable future. If they can also find a way to retain Poe and Smith for the long haul, they will have the pieces in place to build what could be an elite defense. When the news broke on Houston’s mammoth contract extension, there may not have been a happier man on the planet than Denver Broncos outside linebacker Von Miller, who is entering the final year of his rookie contract. For starters, Miller and Houston are very similar players — while Houston held the edge over Miller in sacks for the 2014 season, it is Miller who holds the edge over Houston in career sack totals. Furthermore, Miller is widely considered to be the more complete outside linebacker of the two. That said, Miller has had multiple off the field issues and suffered a torn ACL in 2013. Houston, on the other hand, has gone about his business throughout his NFL career like a true professional. At the end of the day, if Miller goes on to have the year that most people are expecting him to in Wade Phillips’ 3-4 defensive scheme, it will be Houston’s contract that is used as a benchmark during Miller’s own negotiation. A couple of other players around the league that Houston’s contract could affect are Ezekiel Ansah of the Detroit Lions and Khalil Mack of the Oakland Raiders. Both players are budding stars, and both have the potential to develop into the types of players that could impact the game the way Miller and Houston do. They have a long way to go, but if they reach their full potential, you can bet that they will both be looking for $100 million contracts. Only time will tell who will be the next defensive player to land a $100 million contract. What we do know is that the Chiefs have set the new market rate for elite NFL pass rushers.